FeedBurner is not required for podcasting and we recommend that podcasters move off the service. In 2005 FeedBurner added support for podcasting at about the same time Apple launched iTunes podcast directory. For the first year of the podcast revolution, you either created your podcast feed yourself or you relied on a service such as FeedBurner. By 2006, blogging applications such as WordPress, MovableType and LoudBlog became mainstream with podcasting capability available via plugins. Within a year, the podcasting landscape changed rapidly making FeedBurner’s podcasting capabilities irrelevant. Even since, there is a myth that you need to use FeedBurner in order to podcast. Note: With the discontinuation of Google Reader, we feel it is only a matter of time before Google discontinues FeedBurner as well. See our transition Guide. You can use FeedBurner for your podcast, but keep in mind that if your only reason for using Feedburner is “to podcast,” you could be adding another layer of complexity that is not necessary. Fact: Nearly 50 percent of the support tickets submitted to blubrry.com are due to feed issues related to FeedBurner. Issues range from incorrect feed redirection to user misinterpretation of how FeedBurner works. Since Fall of 2011, Blubrry.com no longer provides free support to users who use Feedburner. The rest of this page will discuss the disadvantages of using FeedBurner in detail and include examples of alternative solutions. Feed URL dependence – When you use FeedBurner, or any other feed hosting service for that matter, you hand over the responsibility to host your feed to that service. You are now dependent on that service for the life of your podcast. If you ever decide to change your feed URL in the future, you will most likely lose subscribers in the process, a less than desired consequence. Keeping your brand with your feed – By using a FeedBurner URL, you lose your domain name branding. There is value to using www.example.com/feed/podcast/ rather than feeds2.feedburner.com/my_podcast_title. Extra layer of complexity – The process of setting up a FeedBurner feed is not hard, but the process of implementing can be. Getting your subscribers to use it rather than the default feeds provided by your blog can sometimes cause more problems than it is worth. The biggest complication is with feed redirection (changing your podcast feed address), which is typically implemented incorrectly unknowingly by the podcaster. SmartCast feature not so smart – The SmartCast feature in FeedBurner takes your blog’s title and description and creates versions of the information for iTunes subtitle and summary attributes. Though the feature is better than nothing, it is not ideal when you use a plugin such as PowerPress, where you can manually enter your own custom iTunes summary and subtitle optimized specifically for iTunes. Podcast download statistics lacking data – The podcast download statistics gathered by FeedBurner are very basic. Though the information is useful, it does not break down platforms, clients or country demographics like services such as Blubrry Media Statistics does. Furthermore, FeedBurner’s podcast media statistics only look at a 24-hour time frame to determine if a download is unique, where-as services such as Blubrry use a much longer time frame in order to filter out multiple playbacks by the same user. Lack of support – Blubrry.com gets requests daily from folks with problems with FeedBurner. Blubrry support staff directs these users to go to www.feedburner.com for help. As you can see, there are a lot of reasons not to use FeedBurner. Of course we understand that there are still reasons for using FeedBurner, but we hope by educating you about the pitfalls, you can make a better decision if FeedBurner is best for your podcast. I’m already using FeedBurner, can I still podcast? Yes, but you need to be prepared to have the technical know-how to properly manage and implement FeedBurner into your blog. Below are some tips if you’re already using FeedBurner. Can I use Blubrry PowerPress with FeedBurner? – Yes, just make sure you are not using the SmartCast feature in FeedBurner. If you do use SmartCast feature, the iTunes attributes PowerPress added to your feed will be re-written by FeedBurner. Can I use Blubrry Media Statistics with FeedBurner? – Yes, as long as you implement Blubrry Media Statistics in your blog, FeedBurner will simply add it’s redirect in-line with Blubrry’s. Why are FeedBurners media statistics about 10 percent more than Blubrry’s Statistics? – FeedBurner only filters out unique downloads during a 24-hour period, where-as Blubrry’s Statistics factor in a month’s time to distinguish repeat listens/views vs. unique listens/views. Should I migrate away from FeedBurner? There are rumors it was abandoned. – If you already have an established podcast using a FeedBurner feed as your podcast feed, we do not recommend changing it at this time. We recommend waiting until Google announces a shutdown date before making any changes to your feed. When Google does announce a shutdown date, we hope to see the redirection of the new feed location be extended from the current 30 days to 1 year or longer. Should I switch to a FeedBurner competitor / alternative service? – We see no value on handing over your intellectual property (aka your feed address) to any third-party service. If you own your own website domain (e.g example.com), it is recommended that your podcast feed also reside on that domain (e.g. example.com/feed/podcast/). 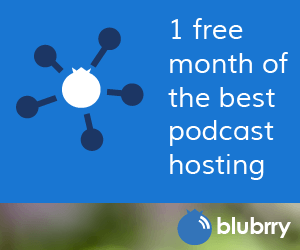 This gives you full control of your podcast syndication. What do I do if FeedBurner were to shut down? With the announcement in March of 2013 of Google Reader shutting down in June, many podcasters may be concerned about FeedBurner possibly shutting down at some point as well. We do expect Google to shut down FeedBurner at some point, but we do not know when. When Google does announce a shutdown date for FeedBurner, see the Leaving FeedBurner page for step-by-step instructions how to migrate away from FeedBurner. Where can I get help with FeedBurner issues? Please visit podcast consultation services if you would like one-on-one consultation with solving FeedBurner issues or would like assistance migrating your podcast away from FeedBurner.